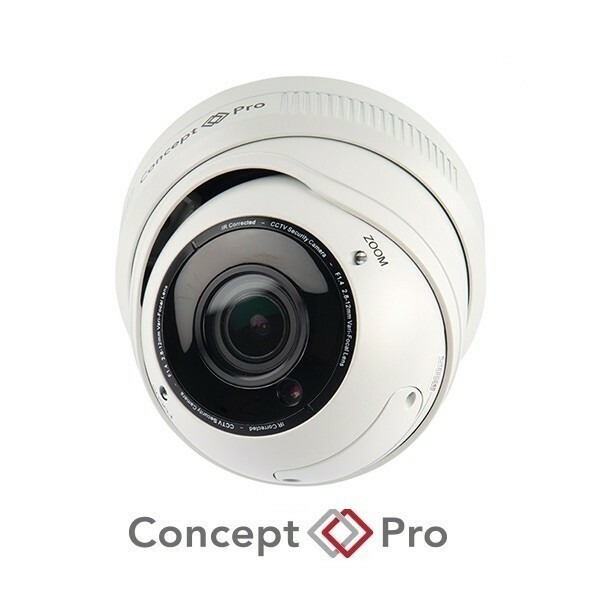 The Concept Pro 5MP 4-in-1 AHD Varifocal Eyeball Camera (CVP9328DNIR-AHD5M) White and (CVP9328DNIR-AHD5M-G) Grey are professional 5-megapixel, external eyeball cameras with manual 3.3–13.5mm varifocal lenses and extended infrared illumination range. 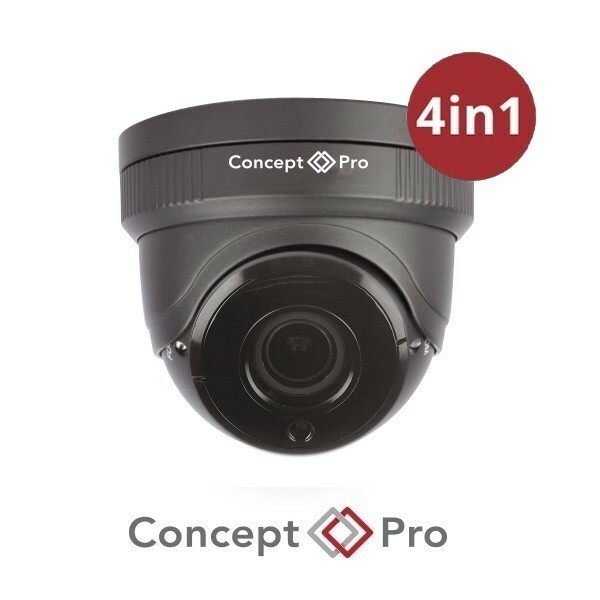 With a 4-in-1 selectable analogue output, IP66-rated metal housing, and true day & night ICR, this camera is suitable for a wide variety of installation environments. 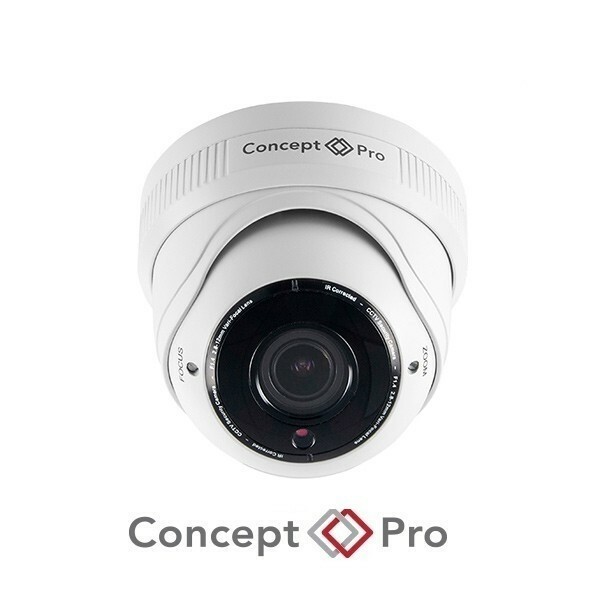 This camera utilises a physical infrared cut filter to provide true colour images in daylight and automatically switch the high-powered IR LEDs on at night for clear black and white images. 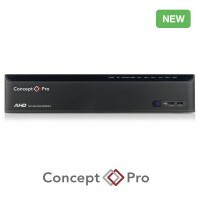 Don't be tied down to any single analogue platform. 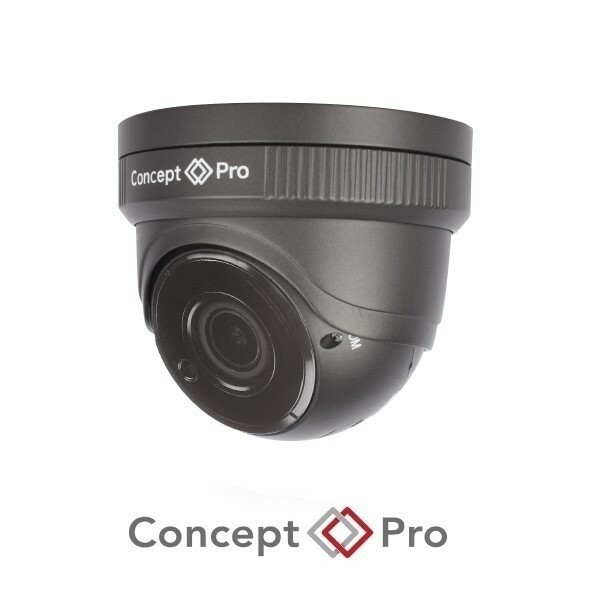 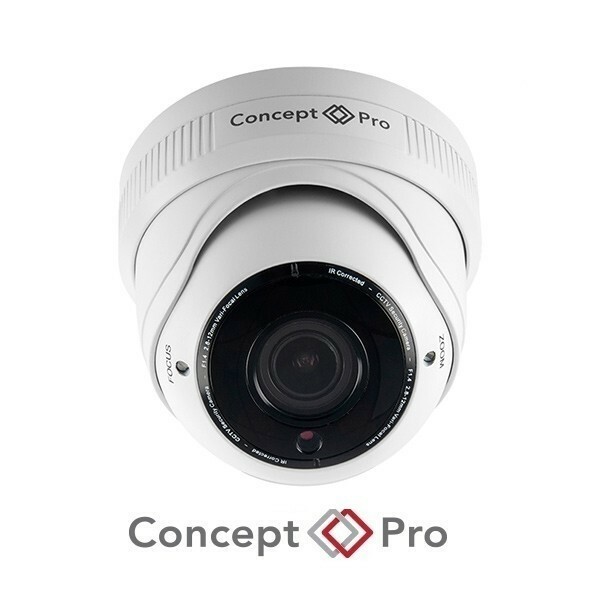 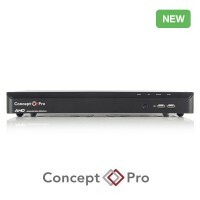 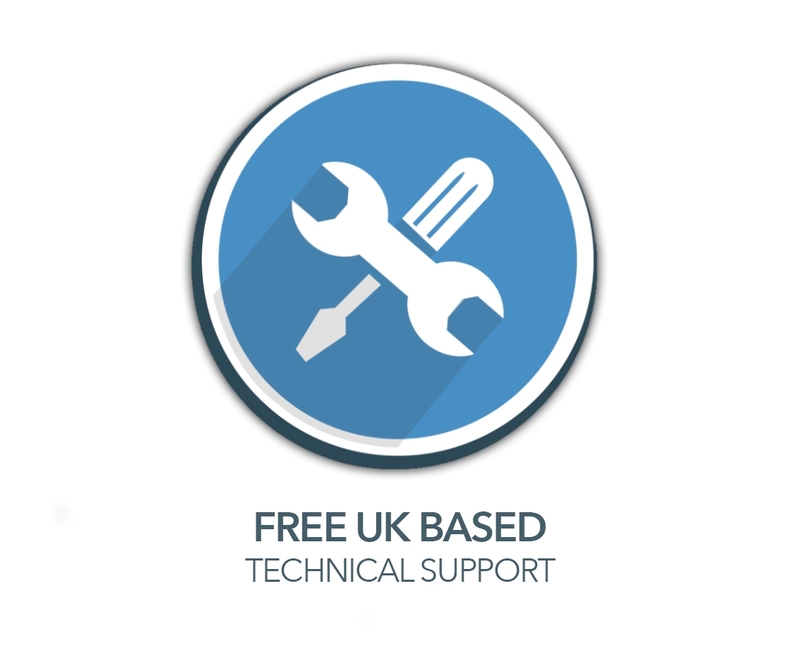 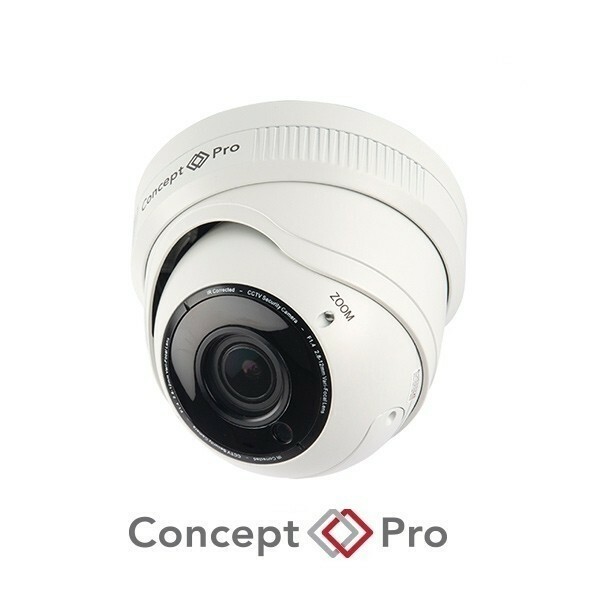 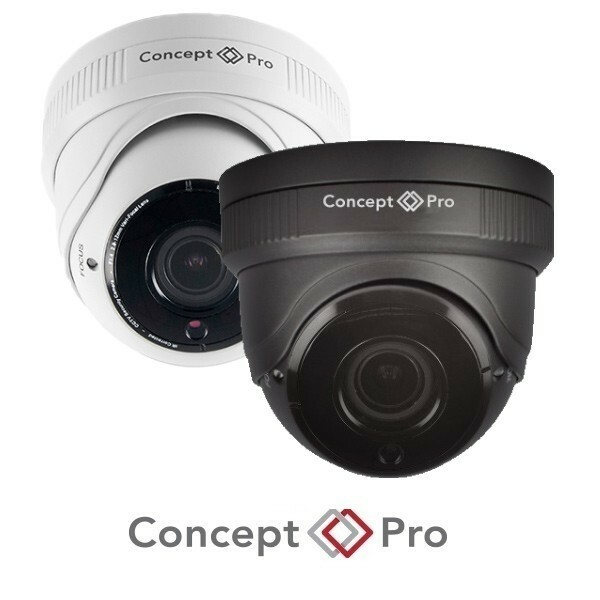 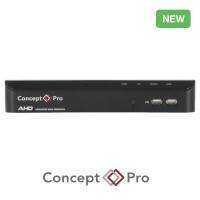 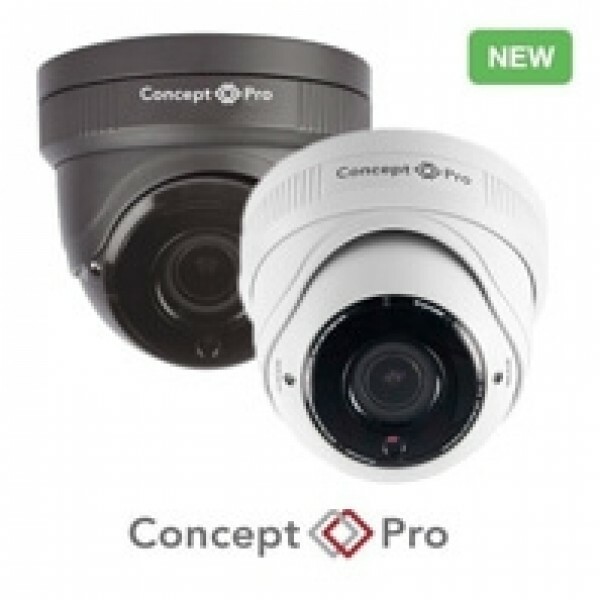 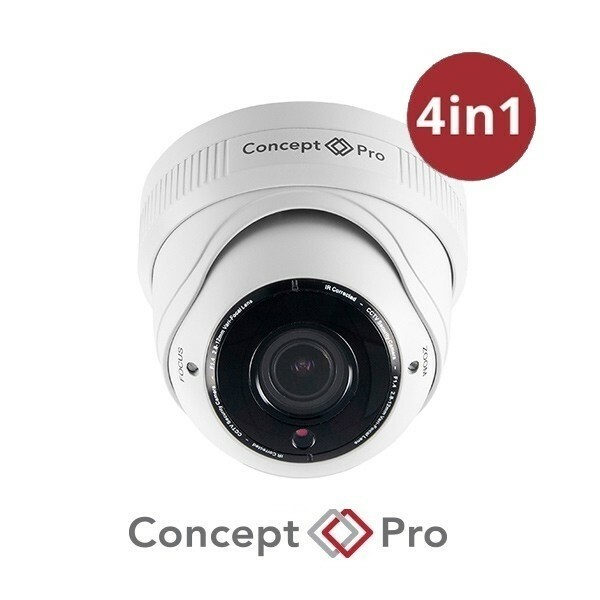 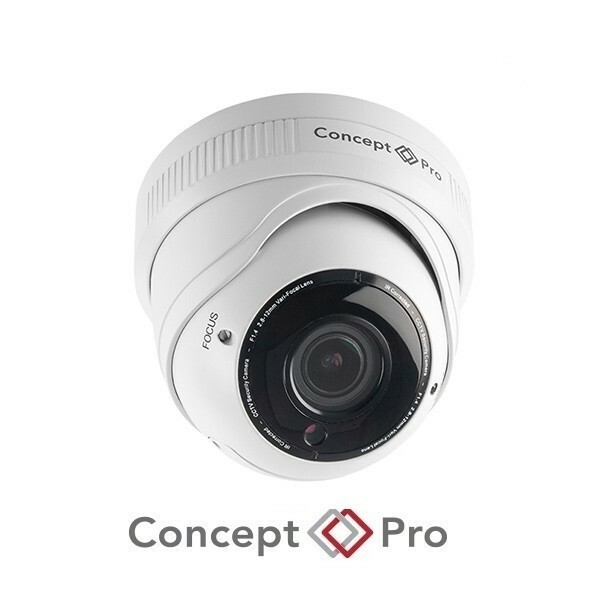 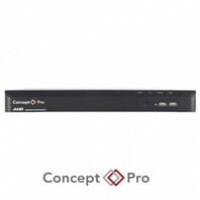 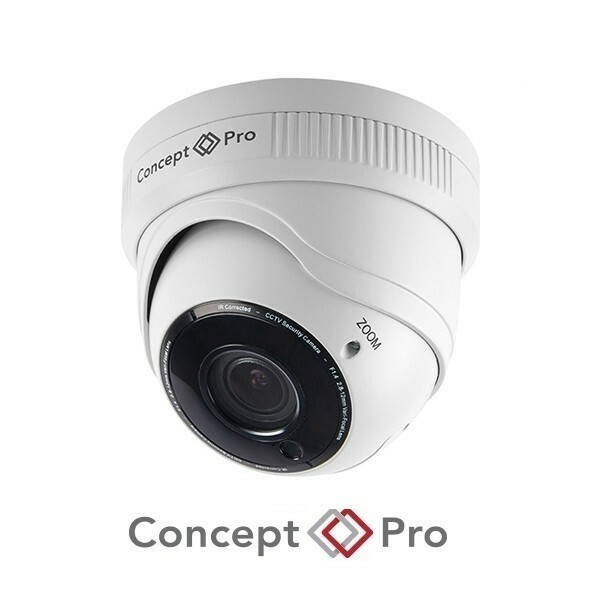 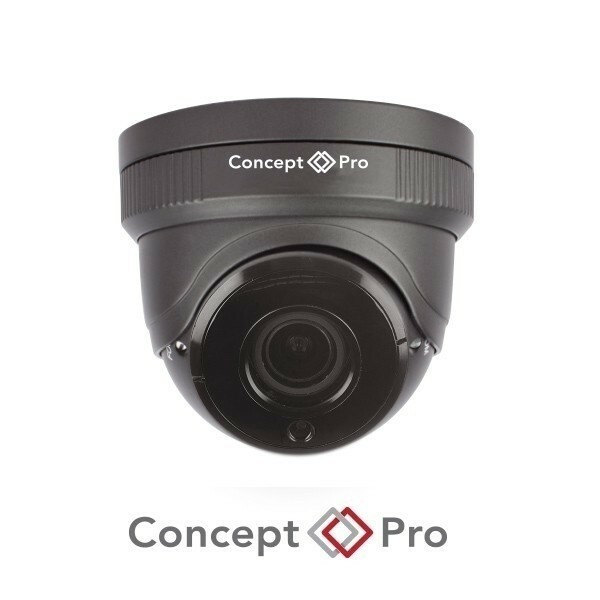 With Concept Pro 4-in-1 cameras you have the freedom to install whichever CCTV platform you like, whether you install AHD, TVI, CVI or traditional analogue systems.